Staff members at JANM have been particularly excited lately about a new product being sold at the JANM Store: Karami, a unique salsa developed over 100 years ago by Japanese American immigrants in Colorado. In addition to being extremely tasty, the salsa (whose name means “beautiful heat”) offers a window onto a little-known piece of Japanese American history. According to Karami’s website, the salsa came into being around the turn of the 19th century, after some enterprising Japanese immigrants settled in Colorado with their families. Finding themselves far inland without access to the ocean-based food staples of their native land, they were forced to be inventive with the resources they had. After sampling a variety of local vegetables, they found that the spicy green chile pepper made for the most viable substitute for seaweed. They mixed the green chiles with soy sauce and used it as a topping on rice, fish, chicken, and meats. Generations of Japanese Americans who grew up in Colorado were known to keep a jar of the homemade mixture on their kitchen table. Every family had their own variation on the recipe. It was Jason Takaki’s family recipe that formed the basis of the product now known as Karami Japanese Salsa; with the help of his partner Kei Izawa, Takaki was able to turn his salsa into a viable business. For a detailed account of their journey, check out this Daily Camera article. For an early review of the salsa, see Gil Asakawa’s 2013 article on JANM’s DiscoverNikkei.org. For even more delicious historical details on Colorado’s Japanese salsa, check out this article on the Great Flavors website. This writer sampled the product and was instantly hooked. Karami Japanese Salsa possesses a smooth, silky quality that I’ve never experienced in other salsas. An initial pleasingly sweet flavor soon gives way to a memorable kick that packs a low, slow-burning heat. I had it with tortilla chips and polished off half a jar before I knew it. Maria Kwong, JANM’s Director of Retail Enterprises and the person responsible for bringing us this salsa, tells me it’s great on hot dogs. Jason Takaki himself likes it best on fried rice. 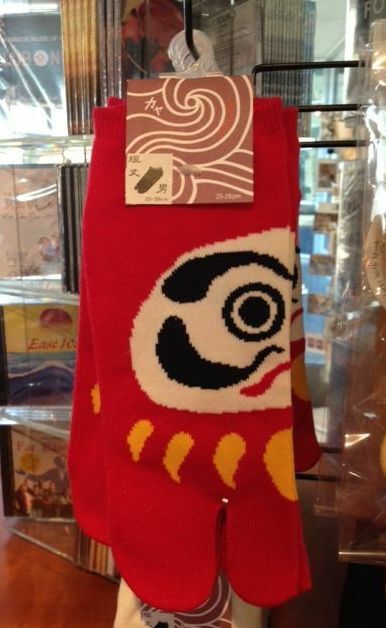 A jar of Karami sells for $8 in our store; check it out the next time you’re at the museum. Please note this product is not available online. UPDATE, June 6, 2017: Due to popular demand, the JANM Store is now selling the salsa online. 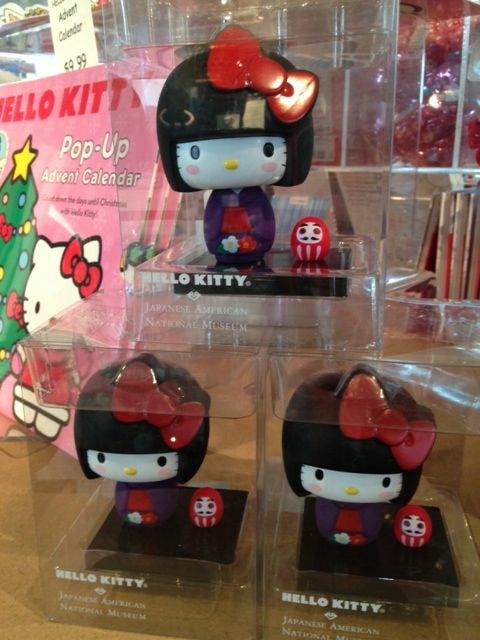 However, it sold out within ten minutes of being announced in our monthly store email! To stay up-to-date on store offerings, subscribe to the store email here. The Great Unknown: Japanese American Sketches is a collection of biographical portraits of extraordinary figures in Japanese American history—men and women who made remarkable contributions in the arts, literature, law, sports, and other fields. Recovering and celebrating the stories of noteworthy Issei and Nisei and their supporters, the book highlights the diverse experiences and substantial cultural, political, and intellectual contributions of Japanese Americans throughout the country and over multiple decades. Included in these pages are Ayako Ishigaki, Issei feminist and peace activist; Milton Ozaki, mystery writer; Bill Hosokawa, journalist; Wat Misaka, basketball star; Gyo Fujikawa, children’s book artist and author; and Ina Sugihara, interracial activist, to name just a few examples. JANM’s Discover Nikkei project recently published a two-part feature on the book and its author. Written by Edward Yoshida, the feature reviews the book at length, as well as the author’s current activities. Robinson is a professor of history at Université du Québec à Montréal. The Great Unknown is a compilation of his columns for Nichi Bei Times and Nichi Bei Weekly, along with selections from other publications. As Yoshida notes, the collection stands out for the breadth of its content; not only does the author present material from a broad span of Japanese American history, he also manages to draw out little-known nuggets of information about such major figures as Eleanor Roosevelt and Alan Cranston, both of whom were allies to Japanese Americans. In addition, the book explores the substantial support offered to the Japanese American community by prominent African American writers and activists, including Paul Robeson, Erna P. Harris, Layle Lane, Loren Miller, and Hugh Macbeth. To read Yoshida’s article, click here. This Saturday, February 25, at 2 p.m., Greg Robinson will appear at JANM for a discussion about his book. The program is free with museum admission; click here to RSVP. Members are also invited to an exclusive meet-and-greet one hour prior to the discussion; email memberevents@janm.org or call 213.830.5646 to RSVP. You may purchase the book at the JANM Store or janmstore.com. L to R: Karen Ishizuka, Mike Murase, Warren Furutani, Qris Yamashita, traci kato-kiriyama. All photos by Vicky Murakami-Tsuda. While the histories of political activism within the African American and Latino communities are well known, the history of Asian and Pacific Islander American (APIA) activism remains invisible to many. JANM exists partly to correct this underrerepresentation. And a new book, for which JANM hosted a signing and panel discussion on June 18, marks a significant contribution to the existing literature on APIA political history. Serve the People: Making Asian America in the Long Sixties traces the history of the Asian American civil rights movement, beginning in the early part of the 20th century, focusing strongly on the pivotal decades of the 1960s and ’70s, and continuing to the present day. Drawing on more than 120 first-person interviews with key players and witnesses, the book aims to be the movement’s definitive history. Serve the People was written by Karen L. Ishizuka, a noted scholar and pioneer in the anthropological study of home movies. Ishizuka was also a longtime JANM staff member and co-founder of what is now the Frank H. Watase Media Arts Center; she was recently honored at JANM’s 2016 Gala Dinner. Karen Ishizuka introduces the book and the panel. On Saturday, Ishizuka led a panel discussion that featured longtime Asian American activists based in Los Angeles. The audience was treated to a series of brief but rousing talks from each panelist. Mike Murase, Director of Service Programs for the Little Tokyo Service Center and co-founder of the UCLA Asian American Studies Center as well as the radical APIA newspaper Gidra, evoked what it was like to be on the ground during the formation of the movement in the sixties. Qris Yamashit gives a slide presentation of her graphic design work. Qris Yamashita, a graphic designer and artist whose unique graphic style helped to form a visual identity for the APIA movement, gave a slide presentation of her work and explained the sources of her imagery. traci kato-kiriyama, an artist, educator, community organizer, and co-founder of Tuesday Night Project, a free public program dedicated to presenting AAPI artists and community organizations, decided to read from the book as a way of paying respect to her forebears. Warren T. Furutani, a California State Assembly member who is currently in the running for State Senator, gave perhaps the most spirited talk, as he called for continued radicalism in the face of increasing public bigotry. While he spoke, a photograph was projected overhead that showed Furutani shouting down Assemblyman Don Wagner on the Assembly floor in 2011 for the latter’s offensive remarks against Italian Americans. Please enjoy our exclusive video of Furutani’s panel talk above. To learn more about Serve the People, read our Discover Nikkei article. To purchase your own copy of the book, visit the JANM Store. Naomi Hirahara is an acclaimed writer who is best known for her award-winning mystery novels. The popular and long-running Mas Arai series features an aging, widowed Japanese American gardener from Altadena who solves mysteries in his spare time. In Summer of the Big Bachi, the first Mas Arai mystery published in 2004, Mas reaches a crossroads in his life and has to deal with unresolved secrets from his past. The novel was praised not only for being a riveting mystery, but for accurately capturing the nuances of Japanese American life. Sayonara Slam, the highly anticipated sixth book in the Mas Arai series, will be published in May. Set at Dodger Stadium during the Japan vs. Korea World Baseball Classic, the novel challenges its stoic protagonist with yet another multi-layered whodunit. Who is that strange woman throwing knuckleball pitches to warm up the Japanese team? Who sent thugs to threaten Mas and accuse him of treason? What was in the deleted files on the murdered sportswriter’s computer, and did they hold secrets that led to his death? Want to win a signed copy of Hirahara’s new novel? Simply visit our Discover Nikkei website, where we are publishing an exclusive, original, serialized story by Hirahara called Death of an Origamist. Start with Chapter 1 and read through to the recently posted Chapter 9, at the end of which you will see our contest announcement. Guess who the killer is, and post your answer in the comments section of Chapter 9. 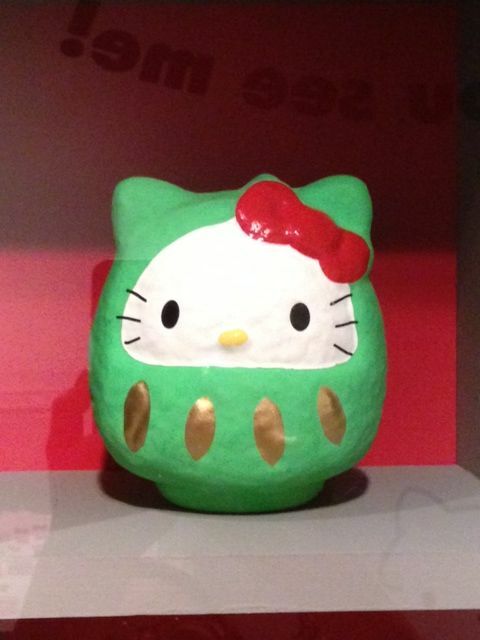 Hirahara will randomly select the winner from those who guess correctly. It’s a win-win situation: you get a shot at winning a free signed book while reading a free, original murder mystery by an award-winning author! Guesses must be posted in the comments section of Chapter 9 in order to be entered in the contest. You must state the murderer’s name, and you must submit your guess no later than Tuesday, May 3, 2016, at midnight PDT. The winner will be announced when Chapter 11 is published. The winner will be contacted via the email address used to register/comment on the Discover Nikkei site. If no response is received within 10 days, another winner will be selected. Please note that only residents of the 50 United States and the District of Columbia are eligible to enter this contest. On Saturday, May 21, at 2 p.m., join us for an author discussion with Naomi Hirahara, in which she will read from and discuss Sayonara Slam. JANM members also have the opportunity to attend an intimate pre-event meet-and-greet with Hirahara at 1 p.m. Space is limited; RSVP by May 16 to memberevents@janm.org or 213.830.5646. Select books by Naomi Hirahara are available for purchase at janmstore.com. Thanksgiving weekend is upon us! And with it, the busiest shopping days of the year. If you’re a JANM member, why not avoid the crowds at the mall and spend some quality time at one of Southern California’s outstanding museums instead? During Member Appreciation Days, Friday Nov. 28 through Sunday Nov. 30, you can enjoy FREE admission and a 20% store discount at 20 participating institutions, including JANM, the Craft and Folk Art Museum, the California Science Center, and the San Diego Museum of Art, among others. Don’t miss this chance to check out some excellent museums for FREE, and get your holiday shopping done at the same time! Don’t feel like leaving the comfort of your own home? You get the same 20% discount if you shop at janmstore.com. Below are a few new products, hand-selected by our store managers, that would make great gifts for loved ones. Hello! 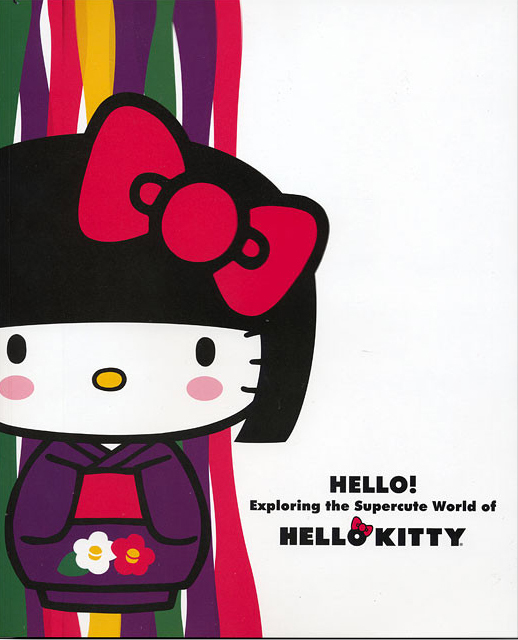 Exploring the Supercute World of Hello Kitty exhibition catalog, featuring extensive color photographs, essays by the curators, and a bonus sticker sheet with exclusive Hello Kitty x JANM kokeshi-inspired art. 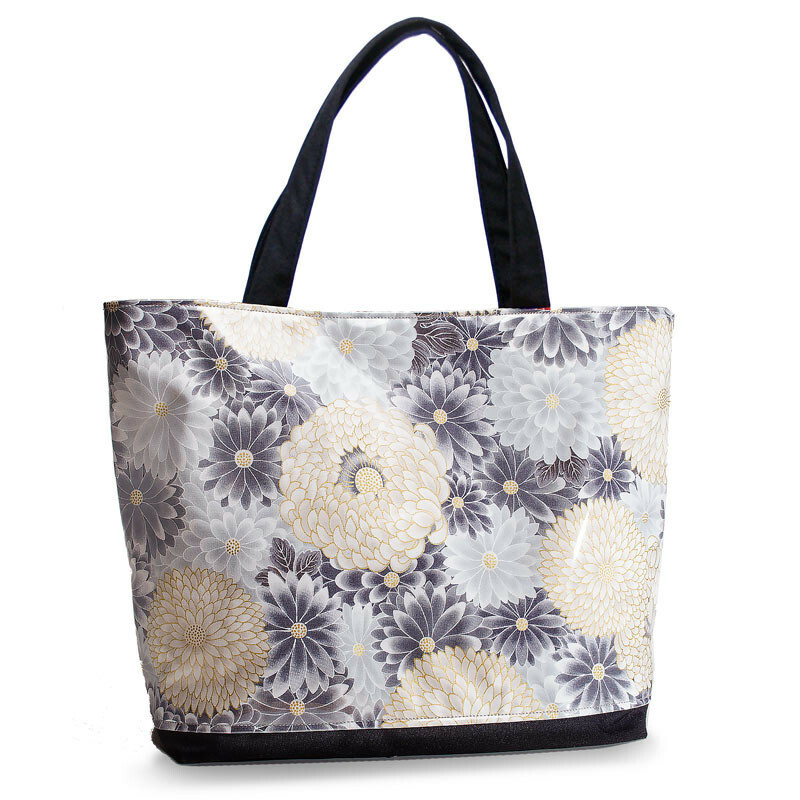 Beautiful chrysanthemum tote bag by Yancha, with two inner pockets, a magnetic snap closure, and stain-resistant vinyl finish. Matching cosmetic bag also available! 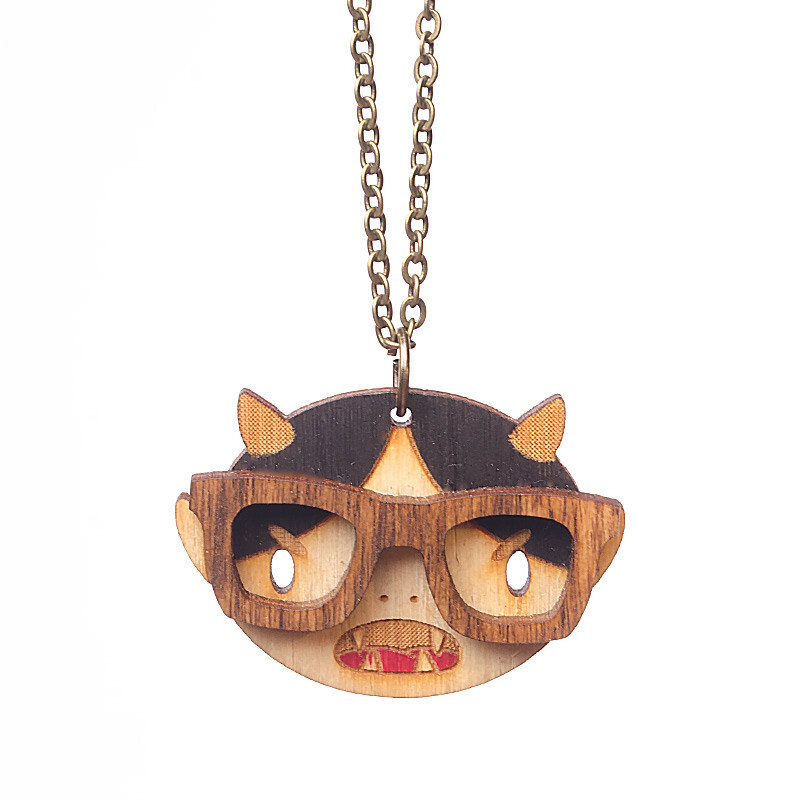 Cute nerd wooden oni pendant, featuring a laser-cut image of a Japanese demon. The oni is generally held responsible for negative things in Japanese folklore, but here it’s been turned into an adorable nerd emblem. Skinny nerd version also available! Visit our Holiday M.A.D.ness page for complete details and a list of participating institutions. To become a member or renew your membership, visit our membership page. Happy Thanksgiving and happy shopping! of its kind in the state. All photos by Carol Cheh. 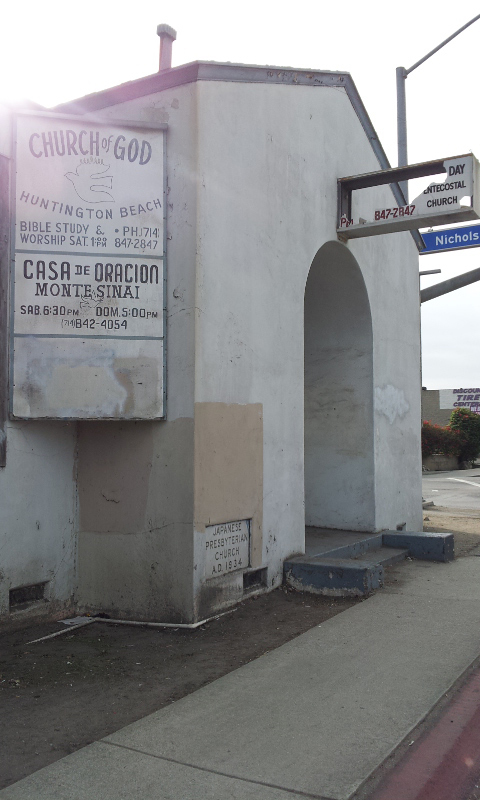 Warner Avenue (formerly Wintersburg Avenue) in Huntington Beach is a busy street. Six lanes of cars roar by at all times, passing a dense parade of apartment complexes, single-family dwellings, schools, strip malls, chain restaurants, and big-box stores. Amidst all this modern-day development, the last remaining structures of Historic Wintersburg Village—a farming community settled by European and Japanese pioneers in the mid-1800s—sit quietly at the southeast corner of Warner and Nichols Lane, barely noticed by passersby. Consisting of a cluster of homesteads, a community church, a mission, and a tiny patch of farmland all dating to the turn of the century, this property is a fascinating window onto a bygone era. The history of the church can be seen in this photo. It began its life in 1934 as the Japanese Presbyterian Church, as inscribed in the building’s cornerstone, before being taken over by other congregations. 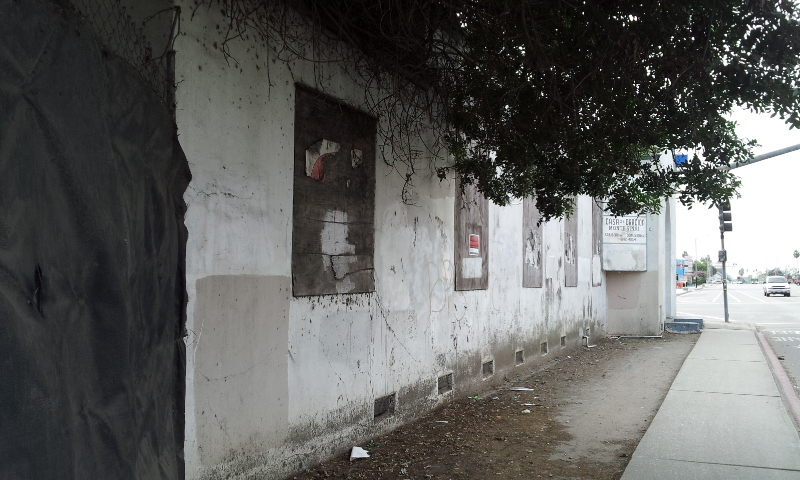 The modest five-acre parcel was purchased by Charles Mitsuji Furuta in 1912, less than a year before California passed the Alien Land Law forbidding Asian immigrants from owning agricultural land. It managed to survive the World War II incarceration era and stay in the Furuta family until 2004, when it was sold to a waste management company. 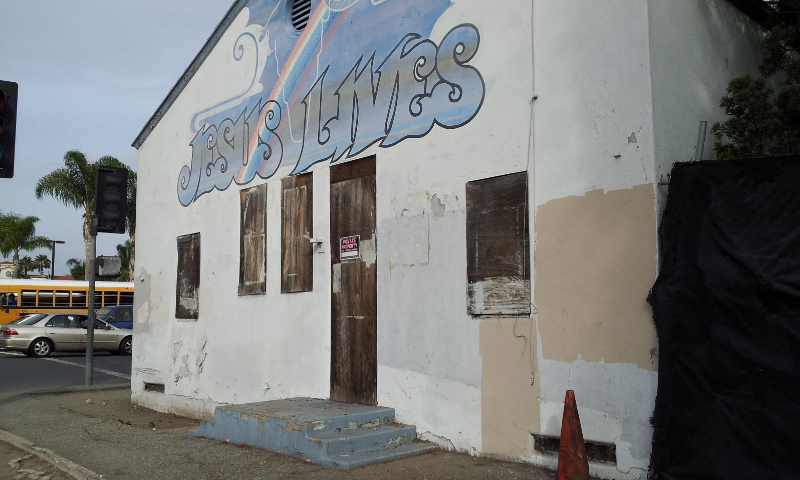 The church on the corner, founded in 1934 by Orange County’s Japanese immigrant community, is the oldest Japanese Presbyterian Church in the state. The red house near the edge of the property, now falling apart with age, was once a spanking-new, ultra-modern home, built by Furuta for his new bride, Yukiko, whom he brought over from Japan. Sadly, the parcel is currently threatened with development. 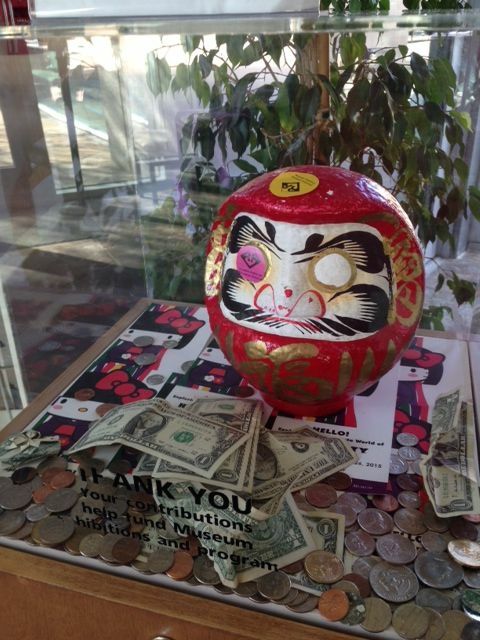 A preservation task force, spearheaded by historian and author Mary Adams Urashima, is working to prevent that from happening. Earlier this year, they were helped in their efforts by the National Trust for Historic Preservation, which designated Historic Wintersburg one of the 11 Most Endangered Historic Places of 2014. This Saturday at 2 p.m., JANM is pleased to host Mary Adams Urashima, who will discuss the fascinating history of Wintersburg Village, detailed in her highly informative and readable new book, Historic Wintersburg in Huntington Beach (available for purchase in the JANM Store). Come hear some amazing stories of early pioneer life in Orange County and learn how you can help save a vital piece of its history.